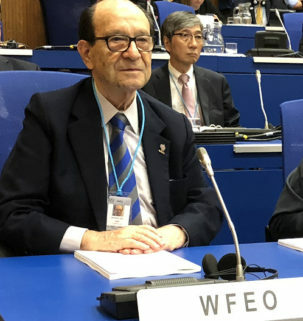 They represented WFEO, an IAEA certified NGO Observer, at the debates and attended the technical program sessions Nuclear Technology for Climate: Mitigation, Monitoring and Adaptation, that can be viewed in this link. Ms. Hillary Diane Andales, a high school student winner of the 2017 Junior Breakthrough Challenge Prize, gave an impressive speech with her plea on how nuclear technology can help tackle climate change. 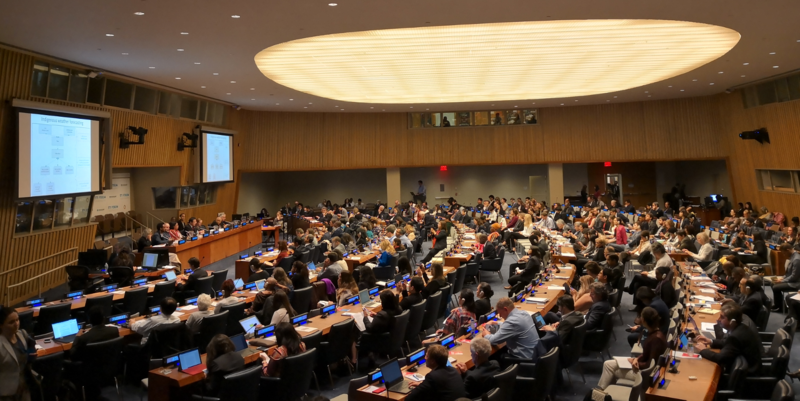 WURC participated in the 2018 HLPF (High-Level Political Forum on Sustainable Development) and the report is available in the link below. WURC is proposing an education session, ”Sustainable & Reliable Infrastructure necessary for Advancing the SDGs”. WURC has asked the Children and Youth MG to join in this session. In addition, WURC will prepare a “progress report” and participate with ISCU/ISSC in a “position paper” for the HLPF. international co-operation for the 21st century, exploring the importance for all stakeholders to co-create momentum to address global challenges. designing solutions to ensure opportunity for all through better access to education, employment, healthcare and housing, making sure that growth is truly inclusive, and promoting gender equality and diversity, migrants’ integration, and intergenerational equity. addressing the need to bridge the gap between policy frameworks designed in an analogue world and the era of digitalization, and to better understand and manage the implications of digitalization for society and human progress. reflecting on the complexity of making and shaping policy in a post-truth world and identify opportunities for civic engagement and co-creation with citizens. Dr. William Kelly, member of WURC, attended the event. The 62th Session of the UN Commission on the Status of Women (CSW62) took place at the United Nations Headquarters in New York from 12 to 23 March 2018. The theme was “Challenges & Opportunities in achieving gender equality and the empowerment of rural women and girls”. There were around 10,000 registered attendees in CSW62. Representatives of 170 member states, UN entities, and over 600 ECOSOC-accredited non-governmental organizations (NGOs) from all regions of the world attended the session. Ruomei Li, member of WURC, WFEO Executive Council and Committee on Women in Engineering attended the event. The Global SDG 7 Conference was a Global Preparatory Meeting in support of the review of SDG 7 (Affordable and Clean Energy) at the 2018 UN High Level Political Forum and was jointly organized by United Nations Department of Economic and Social Affairs (UN DESA) and United Nations Economic and Social Commission for Asia and Pacific (UN ESCAP) during 21-23 February 2018 at the United Nations Conference Centre in Bangkok, Thailand. This Meeting facilitated exchange of lessons, insights and experiences among member states, UN entities and other international organizations and all stakeholders, and considered challenges and opportunities for accelerating progress in the implementation of the 2030 Agenda. As a partner in the Major Group for Scientific and Technological Community, WFEO was also invited to participate and speak on this occasion. Ing. Dirk Dauw participated in the discussion by Mr. Michael Møller, Director-General of the United Nations at Geneva (UNOG). The remarks of Mr. Michael Møller, Director-General of the United Nations Office at Geneva, at his meeting 15 February with representatives of NGOs. Eng. BE Ooi participated in the DESA DSD WUF 9 at “The Role of Cities in the 2018 High-Level Political Forum: Transformation Towards Sustainable and Resilient Societies”, that focused on ways that cities contribute to the theme of the 2018 HLPF, and how urban actors can contribute to and engage in the 2018 HLPF and beyond. 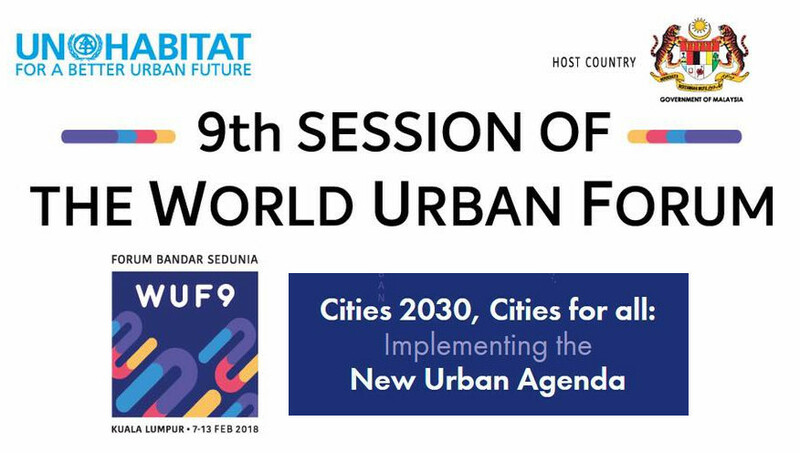 The forum focused on ways that cities will contribute to the theme of the 2018 HLPF, and how urban actors can contribute to and engage in the 2018 HLPF and beyond. WURC supported preparation of the STC inputs, prepared and presented an STC display, shared with ICSU and ISSC the duties of representing the STC at the thematic reviews and the voluntary national reviews. 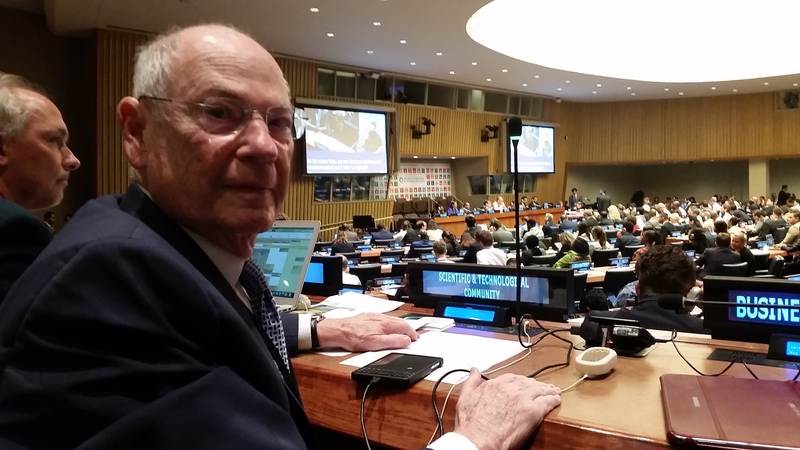 Reginald Vachon and Bill Kelly, members of WURC, participated in the meeting of the 2019 Global Sustainable Development Report Committee. Eng. Ruomei Li, member of WURC and national member of WFEO Executive Council, attended the 2017 HLPF. WURC conducted with ICSU and ISSC a side event; “Sustainable Cities and Human Settlements” at the Second Science Technology and Innovation (STI) Forum on 15 May 2017. This event was attended by many young professionals and all seats were occupied. It facilitated dialogue among policy-makers, stakeholders and leading engineers and scientists on co designing and building fit- for-purpose STI enabled smart city systems in support of SDGs implementation It address: best practices in co-designing systems with those most in need of help (the most vulnerable and marginalized); prioritizing system needs for these communities; and changing conceptions of smart and resilient city development, particularly in developing countries. Important other issues to be discussed include how the engineering and science community can support decision-makers and help build capacity in developing countries for integrating information and communication technology (ICT) into resilient and sustainable urban systems. Topics: ICT Improves City Resilience, Working with the ICT Industry, Social Aspects of Smart Cities and Physics of Smart Cities. WURC assisted the WFEO Committee on Women in Engineering (WIE) to attend the UN 60th and 61st Commission on the Status of Women (CSW) at the UN HQ in 2016 and 2017. The CSW meetings are the UN’s largest inter-governmental meeting to focus on its impact on women and girls. The meetings are crucial to progressing Goal 5 of the UN Sustainable Development Goals (SDGs) and achieving the 2030 Agenda. WURC participates or monitors sustainable development activities globally. A sustainability declaration signed on May 4, 2015 by 39 nuclear societies (50,000 scientists/36 countries) at ICAPP (International Congress on Advances on Nuclear Power Plants) is presented as follows: “We proudly believe that nuclear energy is a key part of the solution in the fight against climate change”. Establishing the roles of stakeholders. WFEO advocated nuclear energy as clean source of energy for inclusion in Policy Brief #2.-: “We proudly believe that nuclear energy is a key part of the solution in the fight against climate change”. 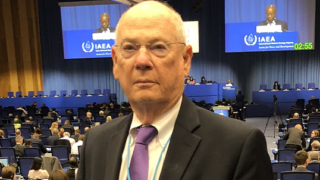 A sustainability declaration signed on May 4, 2015 by 39 nuclear societies (50,000 scientists/36 countries) at ICAPP is presented as follows: “We proudly believe that nuclear energy is a key part of the solution in the fight against climate change”. 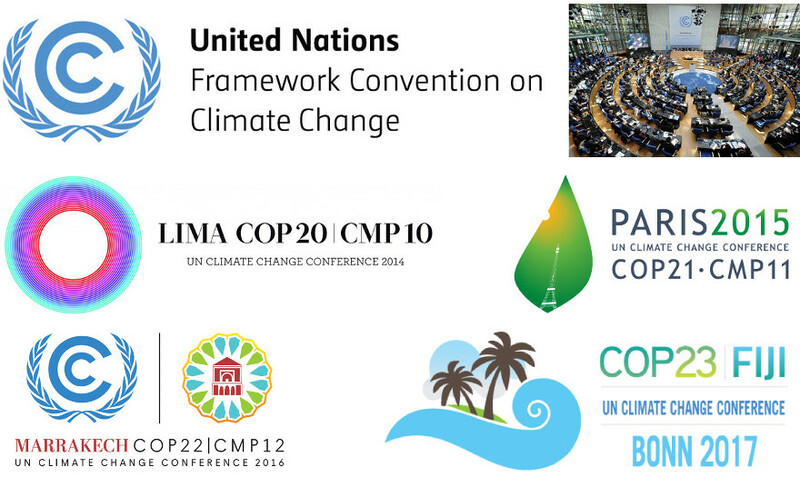 WURC interacts with United Nations Framework Convention on Climate Change (UNFCCC), United Nations Environment Program (UNEP) and United Nations Commission on Sustainable Development (UN-CSD). The focus is discussion and work around engineering, climate change and sustainable development. Ten participants from the Colegio of Peruvian Engineers organized through the CEE Chair and supported by the CEE Secretary attended on behalf of WFEO and the CEE. D. Favrat and Y. Ramos of Switzerland. A report is in preparation. World Meteorological Organization (WMO) Global Climate Observation Services (GCOS) Workshop on February 10-12, 2015, in Bonn, Germany was attended by Eng. Danyluk, WURC member by invitation. WMO and WFEO have a Memorandum of Understanding. 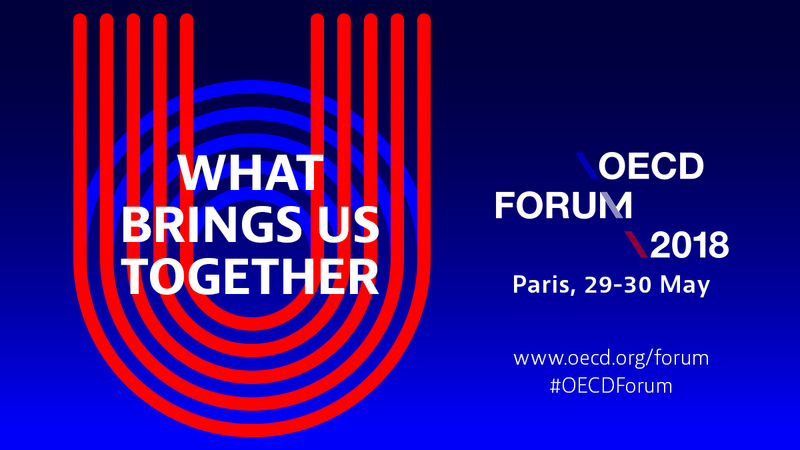 COP-21 Paris, December 2015, WFEO had a delegation (8) during each of the 2 weeks, and held a successful off-site event co-wrote and issued a declaration supported by WFEO HQ staff. that was jointly signed by WFEO President Jorge Spitalnik and Chair Danyluk. Inter-sessional negotiations UNFCCC Conference Centre Bonn May/June 2016. (3 delegates) WFEO had a display booth, held a side event, and daily meetings with attending engineers. A verbal report was tabled at the WFEO CEE meeting. COP-22, Marrakesh Morocco, December 2016, Delegation included 2 from Canada and several from Morocco. Report posted on WFEO webpage. Inter-sessional negotiations UNFCCC Conference Centre Bonn, May 2017 (2 delegates), WFEO had a display booth, attended for 2 weeks, and held a mini side event. COP-23, Hosted by Fiji, held at UNFCCC conference Centre in Bonn, November 2017. 3 WFEO delegates including 1 FIDIC representative. 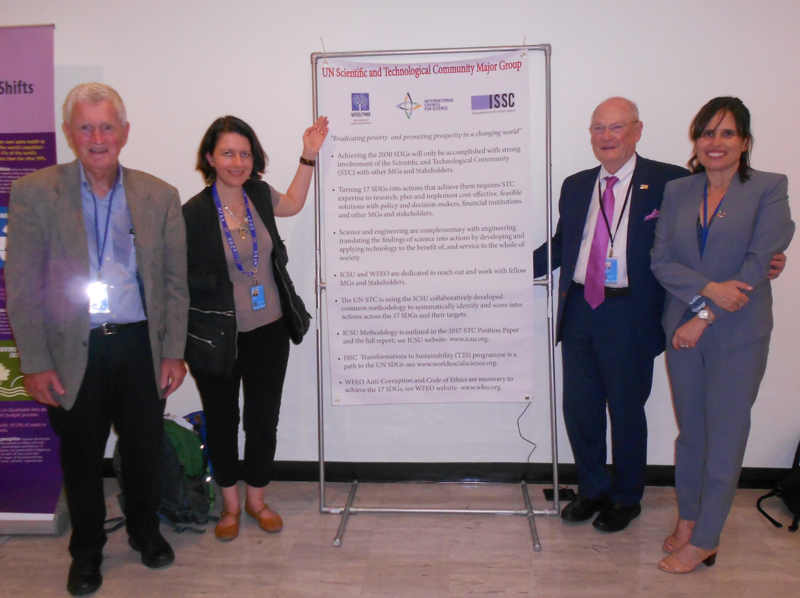 A side event on the Future Climate – Engineering Solutions initiative (an update) was held as part of the British Pavilion program. FC-ES is another arm of CEE, led by the Institute of Civil Engineers UK, Paul Jowitt is the link. The Scientific & Technological Major Group’s vision & priorities for the Sustainable Development Goals and the post-2015 development agenda. A position paper for the programme: “Post 2 Post: Enhancing Stakeholder Engagement in the Post-Rio+20/Post-2015 Process”. WURC participated in the position paper on the vision and priorities of ICSU, WFEO and ISSC – including themes, targets and indicators – for the Sustainable Development Goals (SDGs), wider post-2015 development agenda and High Level Political Forum (HLPF). Science, Technology and Innovation for the MDGs and the Post-2015 Development Agenda. WURC Chair made a presentation on country cases. WURC participated in the High-Level Symposium on Sustainable Cities and Sustainable Urbanization convened by the United Nations Department of Economic and Social Affairs through its Division for Sustainable Development (DSD/DESA) in collaboration with the Municipal Government of Yangzhou, 16-18 December 2013 in Yangzhou, China.